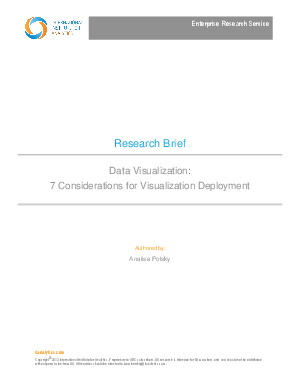 Deploying a data visualization tool is one part technology, one part analytics, and two parts change management. Data visualizations themselves are the driver in what makes adoption possible. They will continue to play a central role in how you communicate information internally and to the world. The more attention you give to the enabling pieces, the better the visualization tools will support and benefit the growth and evolution of your business.